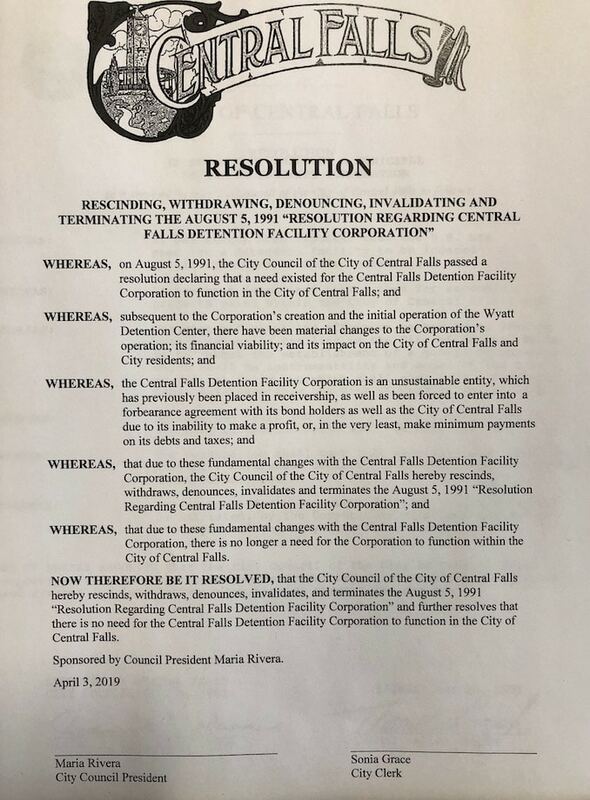 The Central Falls City Council passed two resolutions Wednesday evening “rescinding, withdrawing, denouncing, invalidating and terminating” two 1991 resolutions then required under state law to enable to construction of the Wyatt Detention Center. 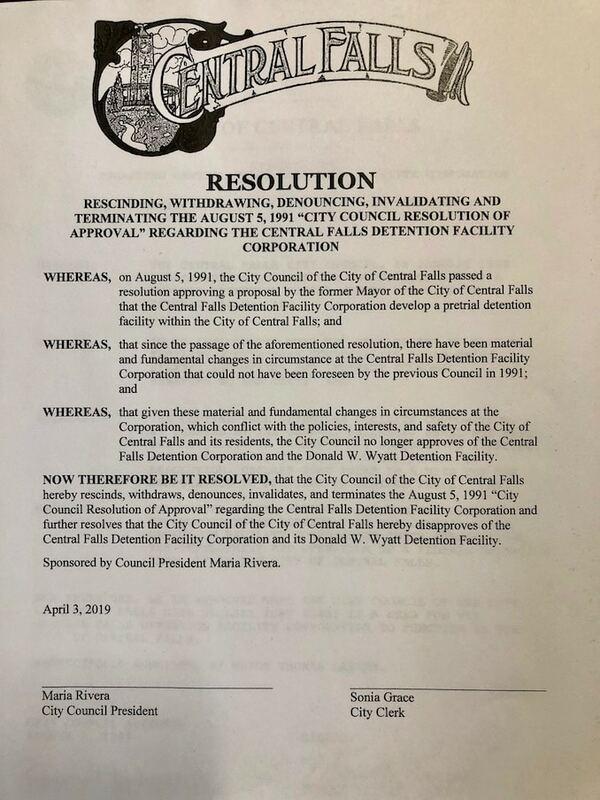 The City Council also approved Mayor James Diossa‘s two appointments to the Central Falls Detention Facility Corporation (CFDFC) Board, Central Falls businessperson Herman Yip and Attorney Joseph Molina Flynn. The CFDFC Board oversees the Wyatt. 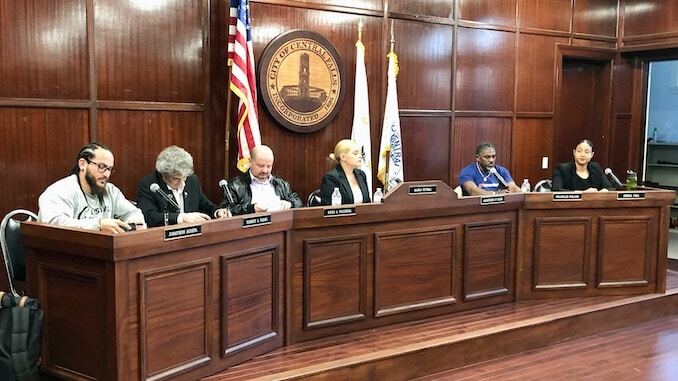 All members of the Central Falls City Council were present except for City Council President Pro Tempore Agostinho Silva (at large), who has recused himself from “all discussions and meetings pertaining to the Wyatt” due to his being a member of the CFDFC Board. 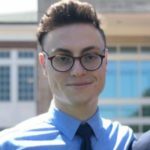 Diossa’s Chief of Staff Joshua Giraldo briefly introduced the the new board appointees and described their qualifications. 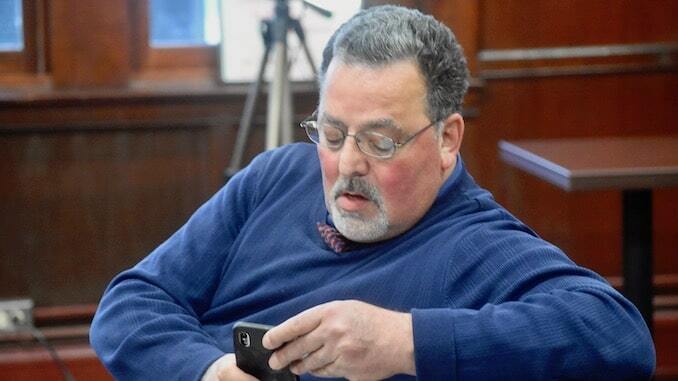 City Councilor Robert Ferri (Ward 2) had some questions about Molina Flynn being from Providence, but Giraldo assured the Council that Molina Flynn had been raised in Central Falls and had family there. Also, the statute says that at least three members of the board had to be from Central Falls. These new appointments to the board will be important this Friday evening at 6pm when the CFDFC Board meets to discuss the recently revealed contract modifications that allow United States Immigration and Customs Enforcement (ICE). 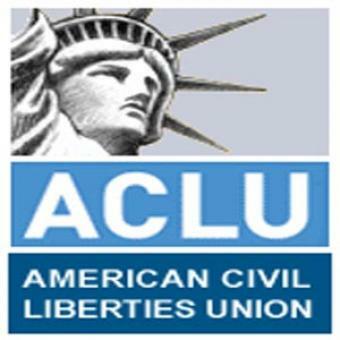 That meeting will be held at the Wyatt Detention Facility Training Building, 935 High Street, Central Falls, RI. 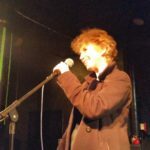 Moving onto the resolutions, City Solicitor Matthew Jerzyk gave a description of exactly what the original resolutions were for and why repealing them was important. 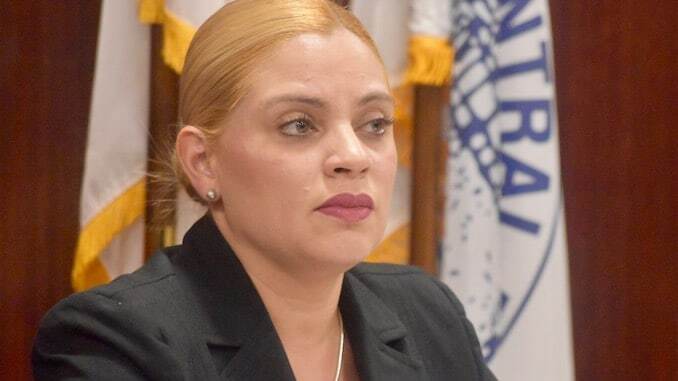 Former Mayor Thomas Lazieh asked if public comments were going to be allowed, but was intially ignored and later told by City Council President Maria Rivera that there would be no public comment allowed. Lazieh was the Mayor who lead the City when the Wyatt Detention Center was originally conceived and built. 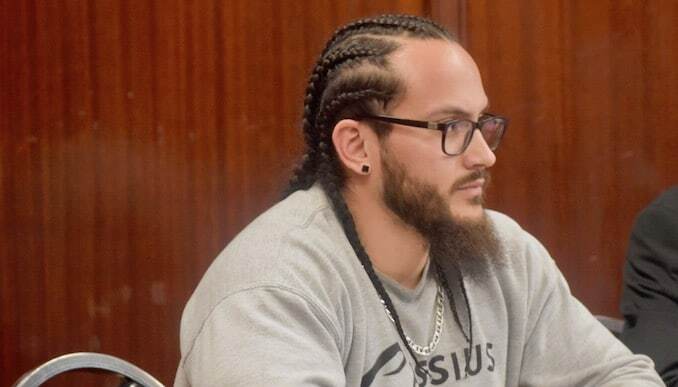 City Solicitor Jerzyk and Attorney Robert Weber from the Central Falls Law Department ran through some of the “procedural and substantive history” in regards to the motions. 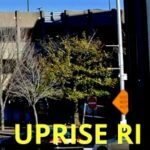 When the Municipal Detention Facility Act passed in the Rhode Island General Assembly in 1991, the idea was sold to the public on the idea of jobs and revenue. 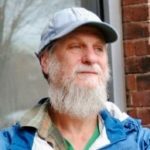 In 2009 the Wyatt stopped making payments to Central Falls following the death of immigration detainee Hiu Lui “Jason” Ng, who died as a result of inadequate medical care. In 2014 the Board filed a petition of receivership. The petition was argued before Superior Court Judge Michael Silverstein. The bondholders, who funded the Wyatt’s renovations in 2005/2006, opposed receivership in court. 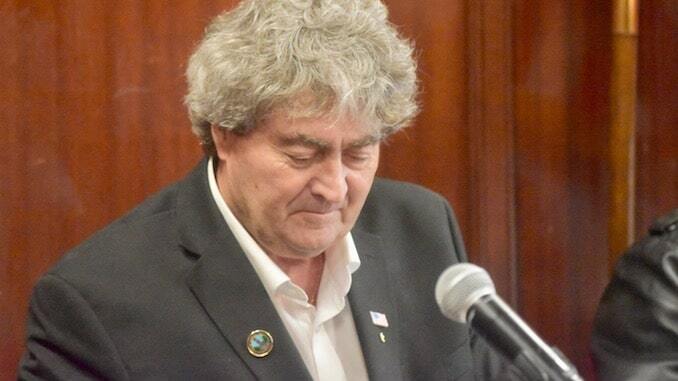 Judge Silverstein established a “keepership” that issued a forbearance with a list of conditions, including payments to the City that totaled about $200,000 a year. Those payments stopped when prisoner James Morales escaped in early 2017. In January the Wyatt has now signed a 20 year contract with the United States Marshal Service and as part of that received a “substantial rate increase.” As of now, the Wyatt has about 500 non-ICE prisoners. That’s about the same number they had when Morales escaped. 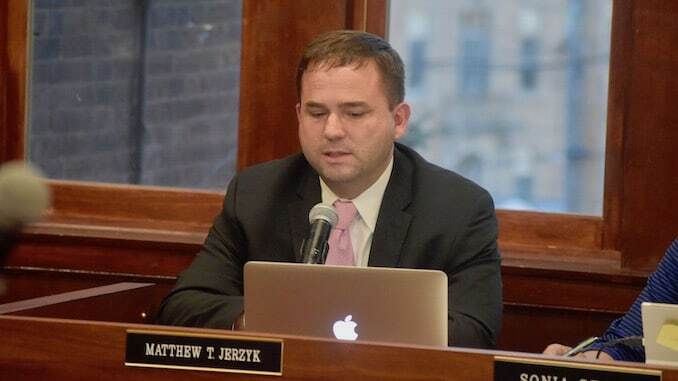 “They had enough money then to make payments to the City, but they have the same census now, and they’re not making payments to the City,” said Jerzyk. 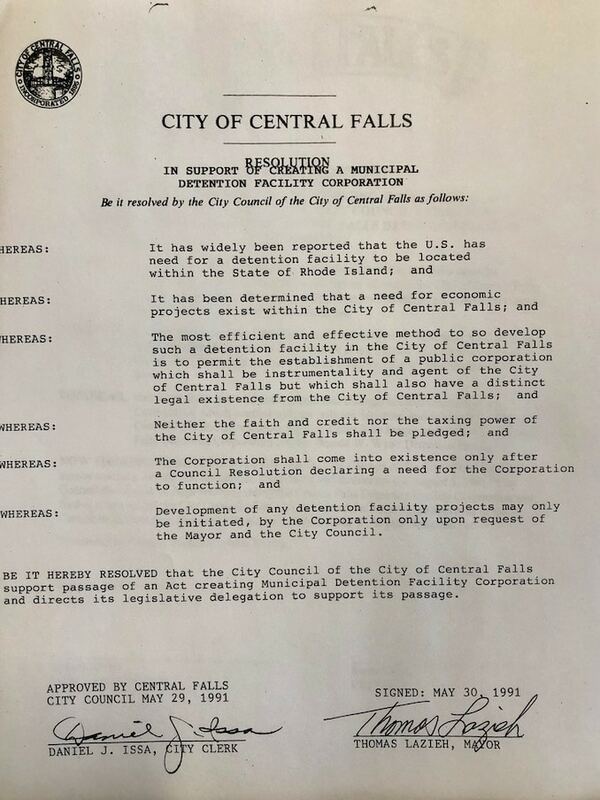 Getting back to the resolutions at hand, Jerzyk noted that the state-level enabling legislation, the Municipal Detention Facility Act, required that the City Council take action and pass two resolutions in support of a private prison facility within Central Falls. 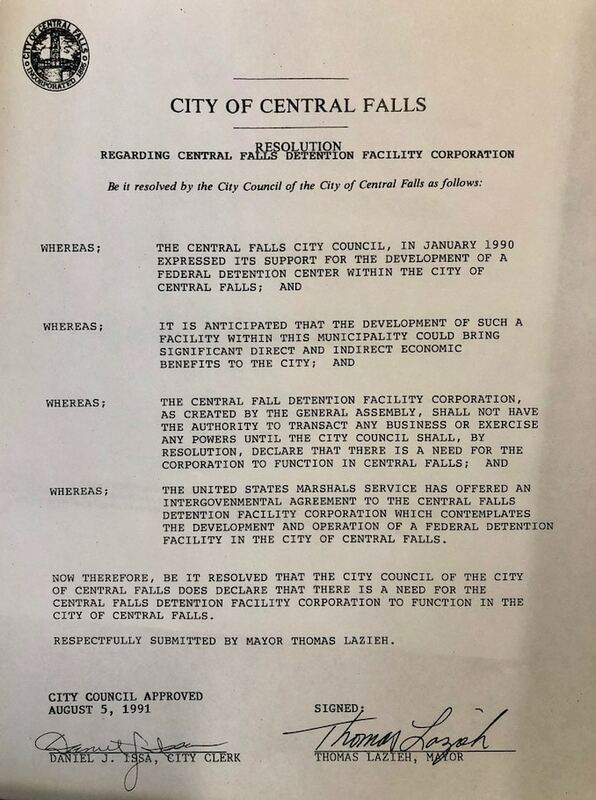 The new resolution, which will essentially rescind the 1991 resolution, says that “since August 1991… there have been material changes to the corporation’s operations, its financial viability, and its impact on the City of Central Falls and its residents,” and due to its inability to pay the City, “the City Council hereby rescind, withdraws, denounces, invalidates and terminates” the 1991 resolutions. 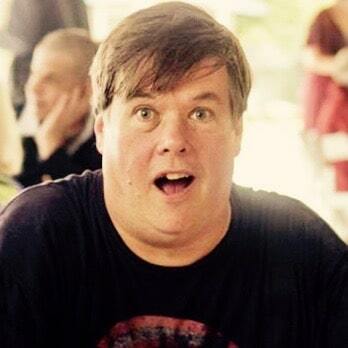 The last bit of City Council business did not concern the Wyatt Detention Facility.